SOIL: Clayey, slimy with calcareous marl located around the 45° parallel north. VINIFICATION: Grape pressing and destemming with maceration on the skins and controlled temperature fermentation with cultured yeasts. REFINING: In stainless steel vats. During ageing the wine undergoes several analytical controls to assure its integrity. CURIOS: It’s a vine coming from the Bordeaux area, able to give firmly structured wines destined to ageing. 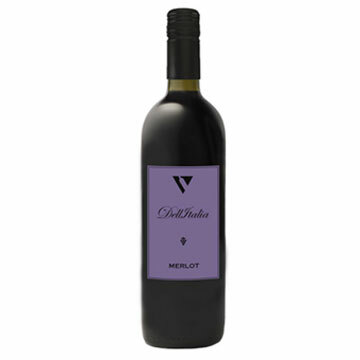 According to the University of Davis it would be a spontaneous hybridization between Cabernet Franc and Sauvignon. Ruby red with garnet red tinges. Intense and subtle with fragrant herbal scents of pepper. Lean, balanced and fine-grained with good tannic weave. Lasagna, braised and roasted meat, medium-aged cheese and raw meat tartare. VINIFICATION: Grape pressing and destemming and soft pressing. Fermentation with cultured yeasts at 20°C temperature. REFINING: In stainless steel vats. Pressurized vat natural second fermentation with cultured yeasts at 16°C temperature. During ageing the wine undergoes several analytical controls to assure its integrity. CURIOS: It is a vine originating from Burgundy which spread all around the world and according to the different wine making techniques can be used for still sometimes aged wines, sparkling wines and Spumante wines. They all share a unique aromatic quality. Aperitifs and starters like shrimp cocktail and shellfish. It accompanies well also vegetable soups and fresh cheese. VINIFICATION: Grape pressing and destemming and fermentation at controlled temperature with cultured yeasts. REFINING: Stainless steel vats. During ageing the wine undergoes several analytical controls to assure its integrity. CURIOS: It is a typical Bordeaux grape originating from South Western France. Its name comes from the partiality blackbirds have for its seeds. VINIFICATION: Pressing with pneumatic press and grape cold maceration, fermentation with cultured yeasts at 16°C controlled temperature. REFINING: Temperature controlled stainless steel. Pressure tank natural second fermentation at 16°C temperature. During ageing the wine undergoes several analytical controls to assure its integrity. CURIOS: Spread by Greeks and Phoenicians, the Moscato vine is a very ancient variety cultivated in this area since the 16th century. Coming from Asia Minor it was used by the Romans too thanks to the peculiarity of its sweet grapes appreciated by bees and related in his writings by Pliny the Elder. SOIL: Medium-textured with calcareous marl and gypsum located around the 45° parallel north. REFINING: Temperature controlled stainless steel vats with periodical lees stirring. During ageing the wine undergoes several analytical controls to assure its integrity. CURIOS: It seems that Pinot Gris in the Oltrepo Pavese dates back already to the year 1600 and its varieties are even described by Pliny the Elder. Almost red in its aspect, it is actually white being a gene mutation of the Pinot Noir. SOIL: Clayey, with calcareous marl and gypsum located around the 45° parallel north. VINIFICATION: Grape pressing and destemming with pre-fermentation maceration and macro oxygenation to obtain its unique color. Fermentation at controlled temperature with cultured yeasts. CURIOS: The Pinot Noir vine owes its name to the characteristic ‘pine cone’ shape of its bunches of grape. Already in 1500 it was present in the hills around Piacenza and Pavia even though the vine we know today is likely to come from the French one. Grown in marly-calcareous soils like those of Lombardy and Piedmont is has all the characteristics of an engaging vine to treat; in fact, even in the aftercare an excellent knowledge of its characteristics is needed to exalt its aromas. SOIL: Clayey, slimy with arenaceous limestone and gypsum located around the 45° parallel north. VINIFICATION: Grape soft pressing with pneumatic press. Fermentation at 16°C with cultured yeasts. REFINING: In stainless steel vats, followed by pressurized vat natural second fermentation with cultured yeasts at 16°C temperature. During ageing the wine undergoes several analytical controls to assure its integrity. CURIOS: The name origin is uncertain, it seems to come from the German term Welschriesling, where the prefix “Welsch-‘, means “of Latin origin” to underline the difference with Rhine Riesling. Intense, aromatic with fruity scents of apple and pear, exotic fruit and broom. It pairs well with fish starters such as salmon canapés. Excellent also with sushi and salt encrusted gilthead. VINIFICATION: Grape pressing and destemming, cold maceration to extract aromas, soft pressing with pneumatic press and fermentation with cultured yeasts at 16°C controlled temperature. CURIOS: It seems that the Pinot Gris in the Oltrepo Pavese dates back already to the year 1600 and its varieties are even described by Pliny the Elder. Almost red in its aspect, it is actually white being a gene mutation of the Pinot Noir. The Pinot Noir vine owes its name to the characteristic ‘pine cone’ shape of its bunches of grape. Already in 1500 it was present in the hills around Piacenza and Pavia even though the vine we know today is likely to come from the French one. Grown in marly-calcareous soils like those of Lombardy and Piedmont is has all the characteristics of an engaging vine to treat; in fact, even in the aftercare an excellent knowledge of its characteristics is needed to exalt its aromas. First courses such as tortelli, braised and grilled meat second courses, feathered and furred game, medium aged cheese with jams to exalt the hints of mixed berries. Showing a yellow color with greenish reflections, the pronounced fruity ripeness keeps the fragrance, the apparent initial sweetness actually hides a dry, very fresh sparkling wine. 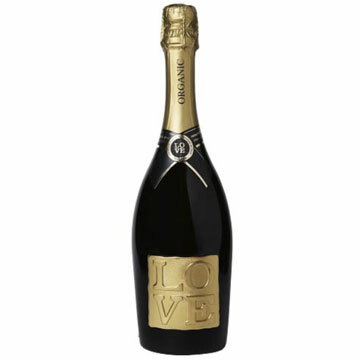 Sparkling and delicate, with floral aromas and fresh fraction of green apple and citrus fruit. Very fresh, a very fine perlage refreshed by a touch of acidity with a good gustative consistency giving to this sparkling wine excellent personality and elegance. 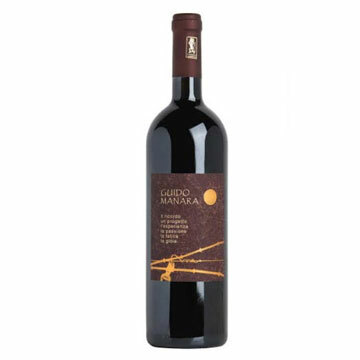 This Barbera wine, certified as denominazione d’origine controllata (controlled designation of origin), is made from grapes grown in the classic vines area of Maranzana, Ricaldone and Cassine. The grapes are carefully selected, and the wine is aged in Slavonian oak barrels. These factors enable this Barbera d’Asti to be described as Superiore, denoting a product originating from particular vineyards and made with special attention. 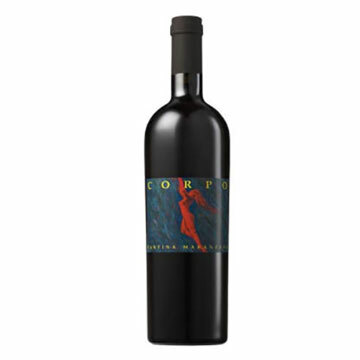 Dry and generous, with sapid harmony and well-orchestrated velvety tannis, hints of cocoa and vanilla that blend well with the red fruit tastes. Rich and complex of considerable concentration and breadth. This wine is the perfect accompaniment to complex recipes, red meat, game animals and birds, and strongly-flavored cheeses. This wine is crafted from select Moscato grapes grown in the hills of the Classics Vines region, in the district of Maranzana. This region is well known for the vines abundant exposure to sunlight. 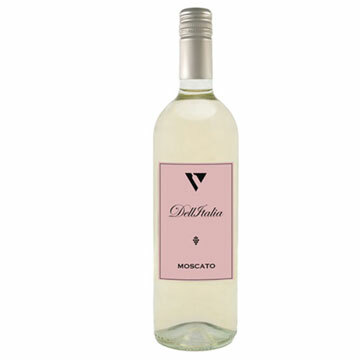 It retains the characteristic fragrance and flavor of the Moscato grape. 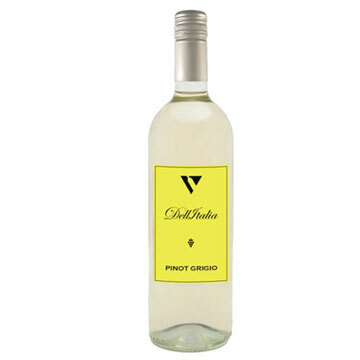 Intense with hints of white grapes, peach, apricot and orange flower. 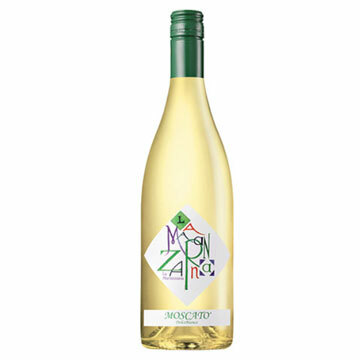 Sweet and refreshing with flavors of fresh fruit, peach and finishes with wild honey. Sweet desserts and fresh fruit. Dolce Rosso or Sweet Italian Red Wine is 100% Brachetto grapes grown in and around the Asti Region in the province of Piemonte, Italy. is area is particularly favorable in terms of height and sunlight exposure to help create a masterpiece of fragrance, harmony and color, which is Brachetto. light ruby with re ections of purple. 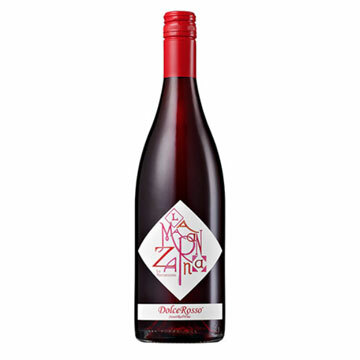 Sweet, smooth and fresh, with distinctive, well-balanced aromatic notes of rose and violet. is wine is ideal with sweet pastries and in general with all types of desserts or fruits. It is also an excellent aperitif. 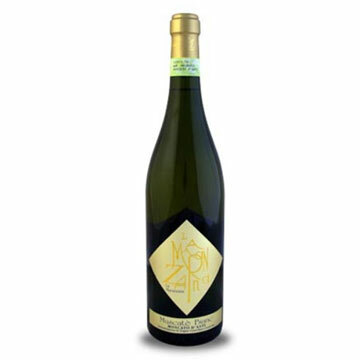 A sparkling white wine produced mainly in the province of Asti, northwest Italy, and in smaller nearby regions in the provinces of Alessandria and Cuneo. 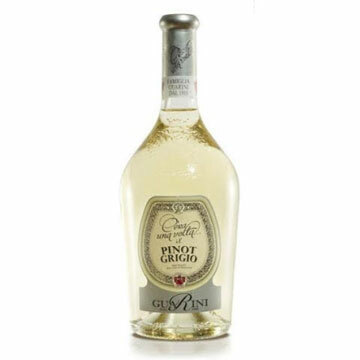 It is a naturally sweet wine that retains the characteristic fragrance and flavor of Moscato grapes brought to their optimum maturation. It is from the Moscato Bianco grape. 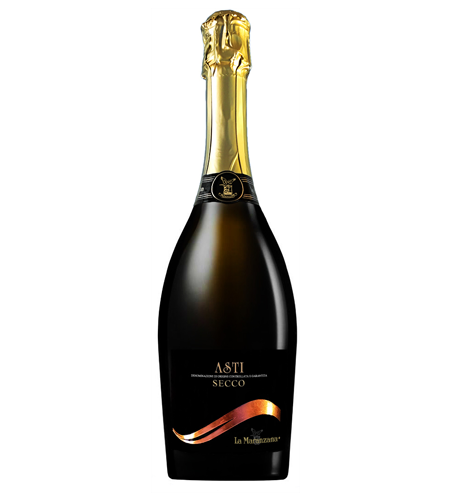 A related wine, Asti, is produced in the same area from the same grape. Moscato d’Asti is the main ingredient of Cocchi Americano. 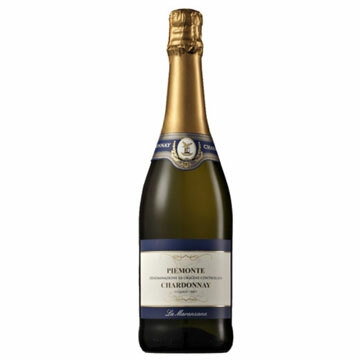 Pinot Chardonnay is the wine for excellence that in Italy and in the rest of the world becomes “sparkling wine”. Due to experience in sparkling wines, Cantina Maranzana produces it through the Italian method called “charmat”, which guarantees the origin of a local wine. Tasty and well balanced, fresh, pleasant to drink. The final taste is sweet and soft. Great for seafood entrees, crustaceans and molluscs. 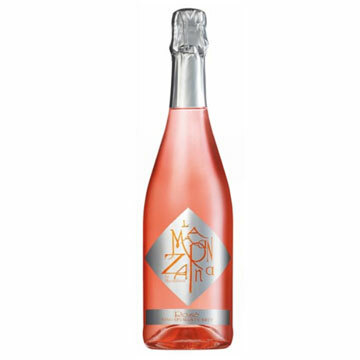 This spumante, sparkling rosé wine, is made from pinot noir grapes grown on hillsides in the area of Maranzana and Cassine, where the microclimate, height and exposure to sunlight are particularly favourable. All the spumante wines produced by Maranzana have characteristically small bubbles which rise abundantly and persistently to the surface. This is a characteristic that demonstrates the meticulous attention dedicated to the wine production process, and the high quality of the pinot noir grapes used to make the spumante. delicate, light cherry colour, with reflections of light coral and pale pink. delicate, fruity and fragrant, with notes of orange flower, strawberry, raspberry and wild rose, which develop into red fruits and floral scents. well-balanced, extensive and sapid, with a light and rounded texture, and long-lasting smoothness. 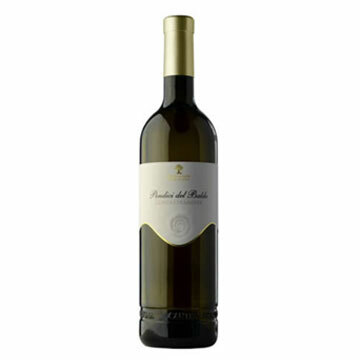 This wine is made from the classic French grape variety Chardonnay, grown in the Monferrato area. Its characteristics make it ideal for a process creating a sparkling wine before bottling, with a fermentation lasting nine months at controlled temperature in large pressurized barrels. 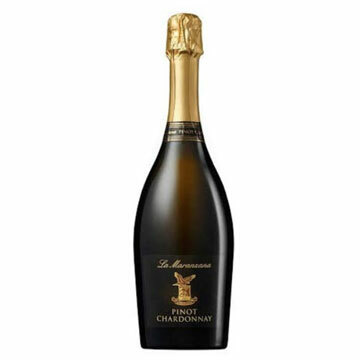 The process creates very positive results, giving this Piemonte Chardonnay small and persistent bubbles that can be compared to the perlage produced by classic sparkling wine techniques. 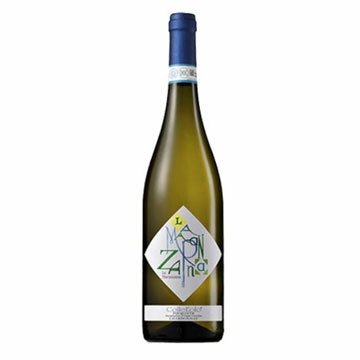 Intense and distinctive, delicate and fresh, with hints of begonia, green apple, citrus fruits and honey. Dry and persuasive, complex, fresh and fragrant, well-balanced and harmonious, smooth, with very delicate touches of bitter flavour, and pleasant hints of green apple. Ideal with Italian-style hors d’oeuvres, fish and seafood recipes. It is also excellent for aperitifs and quick snacks. Very intense and fine aromas of exotic fruits, apple and banana. Good balance between freshness and softness, with aromatic persistence of great elegance. 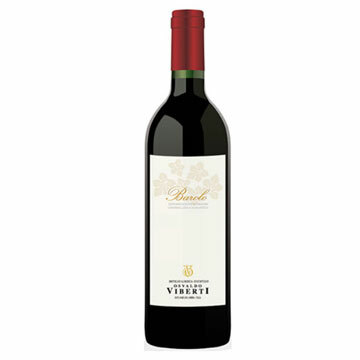 This Barolo is made of grapes from three different vineyards located in La Morra. 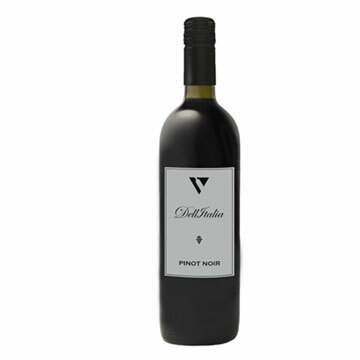 Garnet red in colour, it takes a concentration of flavours with spicy notes of cinnamon and chocolate, rose and red berries, blackberries and blueberries. Dry and warm, smooth and powerful in the mouth, it develops in a balmy finish. 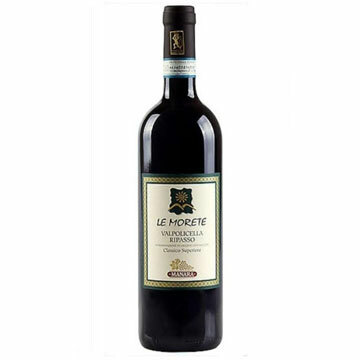 Made of Nebbiolo grapes from vineyards Meriame located in Serralunga d’Alba. Aged for 20/24 months in large barrels. Red ruby in color, Di color rosso rubino, it is characterized by scents of flowers and spices. 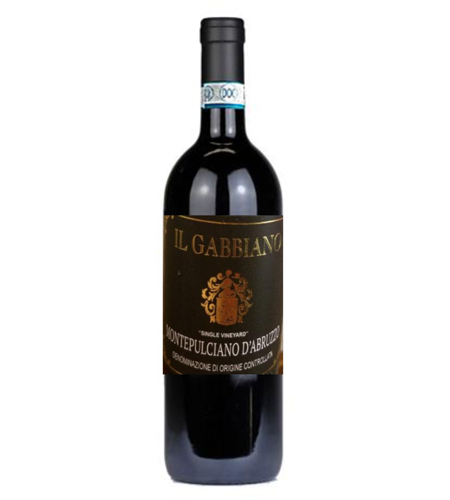 The tannin enhances a strong and powerful character in an elegant and fine frame. A strong and powerful character in an elegant and fine frame. Ideal with red meats and game dishes, seasoned and spicy cheeses. Ideal for pasta dishes, white or red meat, cheeses. From the region of Burgundy, the Chardonnay grape was introduced to Trentino at the end of the nineteenth century and found an ideal habitat on the foothill slopes. It is cultivated in the hills and lower slopes of the area around Mori Brentonico and Ala. The grapes are harvested in early September and, after a light pressing and the first-pressing must is clean, fermentation takes place at a controlled temperature in stainless steel tanks. Intense aroma, pleasing and slightly fruity. On the palate it is well- balanced, rounded and dry. Recommended food pairings are hors d’oeuvres, light first courses and fish dishes; ideal as an aperitif. 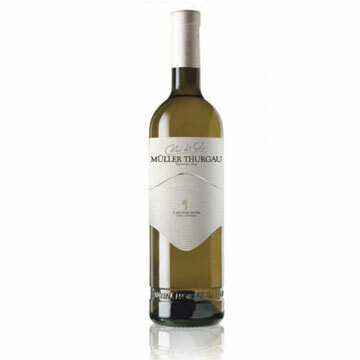 The name Traminer is derived from Termeno, a municipality in South Tyrol where the grape was first developed. It was introduced into our territory in the early 90s exclusively in well-exposed vineyards located on the hillside slopes of Baldo, so as to accentuate the characteristics and intense aromatic fragrance. The grapes are carefully selected in the vineyard for harvesting in the second half of the month of September. The grapes remain in the press for the time required to extract the aromatic overtones present in the grape skins. The must then undergoes fermentation at a controlled temperature in small stainless steel tanks. An intense aroma, lingering and spicy, reminiscent of cloves and orange blossom. On the palate it is smooth and balanced with an intense length. Recommended food pairings are: all types of shellfish, white meats and hard cheeses. in the ideal soil of the Trentino hills, especially where the vineyard is located on well-structured, medium- textured soil and exposed to the south/ south-east. The grapes, harvested at the end of September, remain for approximately 10 days in contact with the skins After pressing. During this period, the pressing process is repeated daily to favor the extraction of polyphenolic substances which are essential for the structure of a great wine such as Merlot. After racking, the wine is aged in barriques and large oak barrels. Dry, full-bodied and well- structured on tasting. Recommended food pairings are meat, roasts and mature cheeses. 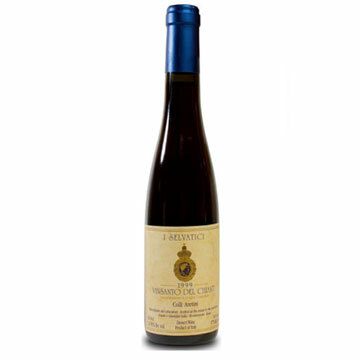 A typical Trentino cultivar that offers a unique product, especially when cultivated in sun-exposed areas such as those in the territory of the lower Valle di Gresta and in the characteristic terraced vineyards located behind the town of Mori. The grapes, of an intense golden yellow color, are harvested in the second half of the month of September. The grapes remain in the press for approximately 12hours; the time necessary in order to extract the intense aromatic overtones. The clean first-pressing must undergoes fermentation at a controlled temperature in stainless steel tanks. 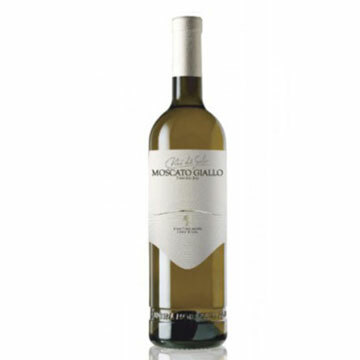 An aromatic fragrance typical of Moscato wines with notes reminiscent of sage. On the palate it is sweet, delicate and well balanced. Recommended food pairings are desserts and sweet pastries. This varietal takes its name from the Swiss researcher Hermann Müller from Thurgau who first crossed the varieties of Riesling and Silvaner Verde. 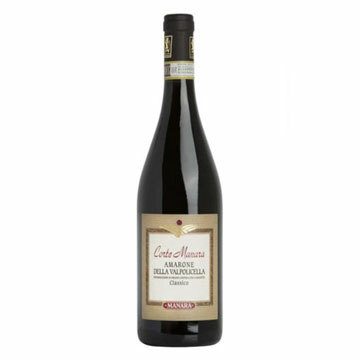 It is cultivated in vineyards on the mountain side of Mount Baldo, on the slopes facing south-east at an altitude of over 400 meters. The grapes are harvested in the second half of the month of September. The grapes remain in the press for the length of time necessary to extract the aromatic overtones present in the grape skins. The clean must then undergoes fermentation at a controlled temperature in stainless steel tanks. A pleasing aroma reminiscent of wild sage. A dry, slightly acidulous flavor. Recommended food pairings are hors d’oeuvres and grilled fish; it is also ideal as an aperitif. The harvest begins in early September. Following the cycle of light pressing, the clean first-pressing must undergoes fermentation at a controlled temperature in stainless steel tanks. A delicate aroma which is pleasing and dry. On the palate it is rounded and velvety with a slight hint of yeast. Recommended food pairings are pasta dishes, egg-based dishes, boiled poultry and fish. 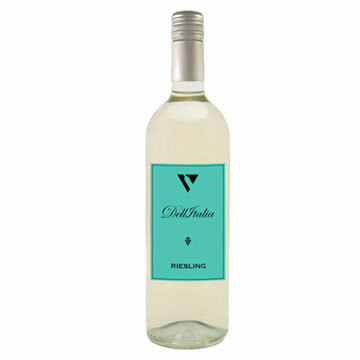 This 100% organic certified wine is a beautiful, sparkling blend of Chardonnay & Sauvignon Blanc. It is medium dry with good acid. The flavors are of baked red apple, citrus marmalade & pear. It is a perfect wine & presentation for occasions such as weddings, Valentine’s Day, Mother’s Day or just because. The metal label is also a removable keepsake. 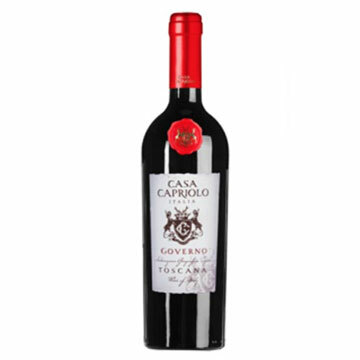 A 100% Sangiovese that is luscious and jammy. 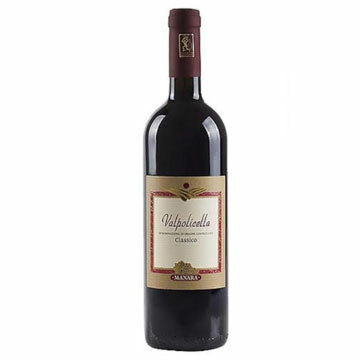 It is medium bodied with flavors of dark cherry, dates, blackberry, leather and spices. Certified Organic. 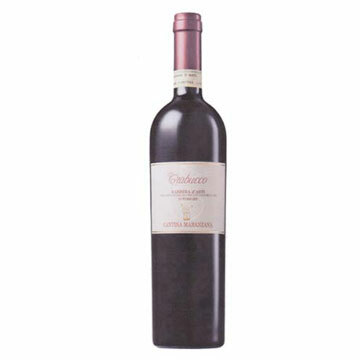 Since it exclusively contains delicate Sangiovese grapes, Cardisco is the truest test of our craftsmen’s artful touch. In fact, they spent decades experimenting with over 500 micro-fermentations to perfectly tailor our process to the soil and climate within our vineyard. Furthermore, while similar wines settle for a three-year maturation, we wait an extra year-because patience is a virtue that yields delicious depth. The young wine is aged for two years in steel containers, where it is decanted three times. Then, Cardisco receives its signature woody notes by maturing in new American or French Oak for a full 18 months. Finally, the wine is bottled and left to rest for six to eight months prior to release. The result is a full-bodied, world-class wine that is so well crafted, it could last 20 years or more­ but who can resist its siren song for that long? Cardisco is well paired with any braised red meat or wild game, including wild boar, deer, venison and hare, very nice with some aged cheese. 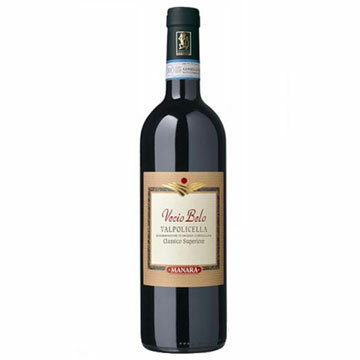 With an intense ruby color and delicate, fruity aroma, Chianti Colli stands out as a superior Chianti, even in a region where exceptional Chianti is as abundant as fresh air. 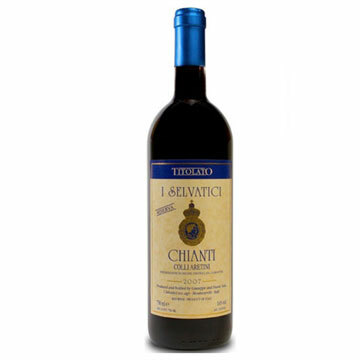 In fact, our Chianti is one of only a handful formally honored as “Titolato,” or a D.O.C .G. wine. 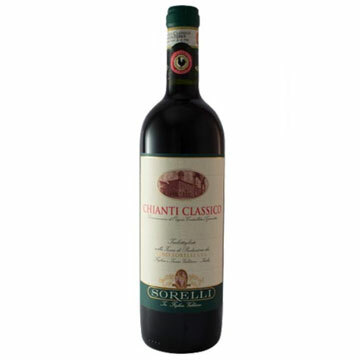 To ensure we always meet this standard of excellence, only our finest vintages bear the Chianti Colli name. Made from a blend of Sangiovese, Canaiolo and Mammolo grapes, it is authentic Chianti, made with traditional methods­ including our utilization of concrete containers, in addition to our modern steel vessels. As the wine matures within the concrete tanks for two years or more, the ideal temperature control is provided by nature herself The result is a rare and noble Chianti with a well-balanced flavor that is so finely tuned, it stores for up to 12 years­ well beyond the average Chianti. 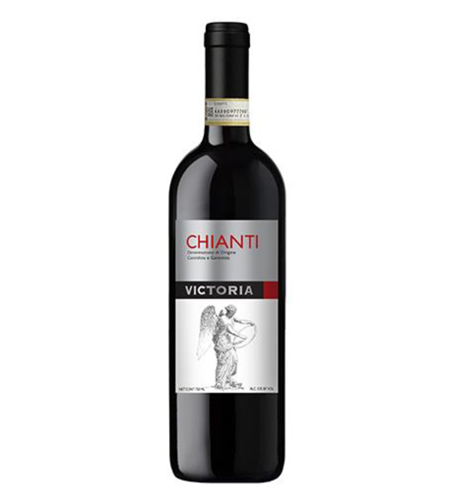 Chianti readily adapts to virtually all dishes, but it is particularly well matched with roasted meats or pasta with fresh tomato. A lusciously decadent dessert wine, Vinsanto features a rich, amber color with a concentrated aroma of dried figs, walnuts and candied fruit. This delightful confection is created from a mixture of Malvasia, Trebbiano, San Colombano and Sangiovese grapes that we dry under the warm, Tuscan sunshine for five months . The dried grapes, which are more like plump raisins, are then pressed and immediately placed in wooden “caratelli” barrels. Every barrel is hewn from five different woods, each of which contributes a different shading of flavor, ranging from apricot to caramel. The sealed caratelli remain undisturbed under the eaves of our attic for six to eight years, where the natural fluctuations of the seasons expertly influence the fermentation. When completed, this time-honored art yields a dessert wine of unparalleled sophistication that compresses the flavor of 30 pounds of grapes into every rare and precious bottle. Vinsanto is an exceptional partner for desserts and aged cheeses, such as Gorgonwla and Roquefort. A clean and tenuous wine, with hints of the wood where it matured. Good tannins and full bodied, overall a soft yet powerful wine. Vinification: Intense initial pumping over a controlled temperature never exceeding 33 ° C; long maceration on the skins with racking in waning temperature; malolactic fermentation done immediately after the racking. Intense ruby red with garnet reflections, limpid. Fermentation in red, with maceration on the skins for about 15 days at a controlled temperature. Maturation: at least 1 year steel vats, 6 months in large wooden barrels and 6 months in French oak barriques. Ageing in the bottle for two months. Strongly winey, violet traces and marked character of refinement with ageing. The beautiful city of Orvieto is in the centre of one of the most important wine-making areas of Umbria. Wines have been produced here since the Etruscan period. The Etruscans realised the favourable conditions and quality of the soil for the cultivation of grapes. 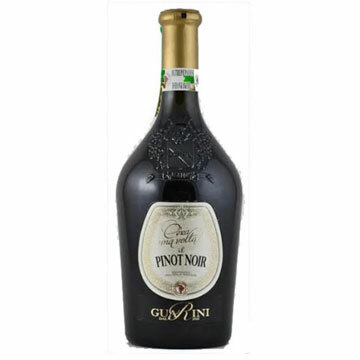 It is the favoured wine of the papal canteen and because of its fragrance and the strength of its colour it has been defined as “liquid gold” by the physiologist Paolo Mantegazza, and as “Bottled Italian sunshine” by the poet Gabriele D’Annunzio. 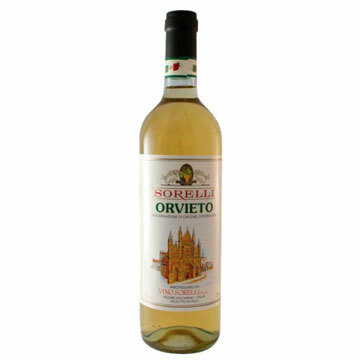 Orvieto is one of the most well-know and appreciated Italian white wine in the world today. Sea fruits hors-d’oeuvre, first dishes with light sauces, rice, fried and grilled fish, eggs, young cheese. The grapes come from the towns of Montespertoli, Gambassi Terme and many neighboring towns, in which our parners have planted over 1,000 hectares of vineyards. A surface that allows us to be the first manufacturer in the world of chianti. The wine is made with the latest technology that tend to limit their contact with oxygen and enhance all of the characteristics of the Chianti wine. Depending on the vintage, the grape maceration may be prolonged, even 25-30 days. Area of Cultivation: Vineyards sited on the hillsides of designated Valpolicella Classico area, more specifically in the localities of Negrar, Marano and San Pietro in Cariano. Pressing and Fermentation: A gentle crushing, followed by a steeping on the skins and a slow fermentation in stainless steel tanks for 40 – 60 days. Aging: In 7 and 23 hl barrels made of Slovenian oak for 24 months and it continues in stainless steel tanks for 18 months. Aging in the bottle varies from 6 to 12 months. 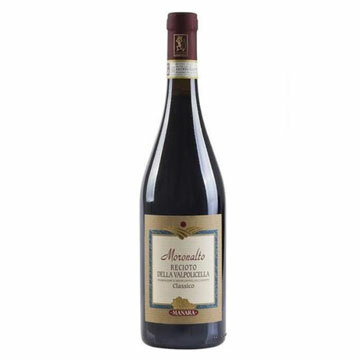 Corvina 70% – Rondinella 20% Other autochthonous types 10%. Roasts, meats grilled over an open fire, game and strong cheeses. 16°/18° C. Allowing the wine to breath an hour before serving is recommended. Area of Cultivation: Vineyard sited at 250 meters above sea-level at the heart of the Valpolicella Classico region and with a southerly exposure. This particular wine has been dedicated to the father of the three brothers who currently run the winery. Pressing and Fermentation: Gentle crushing followed by a steeping on the skins and a slow fermentation in stainless steel tanks for 20 – 25 days. Aging: In French barrique takes 24 months, the following aging in the bottle varies from 6 to 12 months. 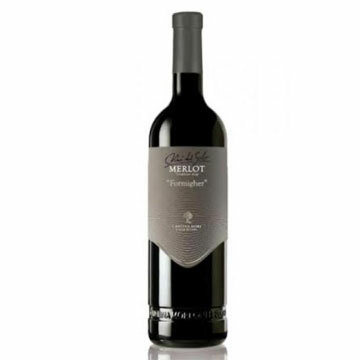 Cabernet Sauvignon 70% – Merlot 20% – Croatina 10%. Ruby red with violet tints, almost impenetrable. Roasts, meats grilled over an open fire, game and ripe cheeses. 16°-18° C. Allowing the wine to breath an hour before serving is recommended. Area of Cultivation: This unique vineyard takes its name from being sited at the top of the hill above Moron, a locality of Negrar at the heart of the Valpolicella Classico region. Pressing and Fermentation: A gentle crushing, followed by a steeping on the skins and a slow fermentation in stainless steel tanks for 40 days. Aging: 1n 20 hl stainless steel tanks for 12 months. Aging in the bottle varies from 6 to 12 months. Corvina 65% – Rondinella 25% – Dindarella and Croatina 10%. Almond biscuits, dark chocolate and pastries without jam or cream. Area of Cultivation: Vineyard sited in the locality of San Pietro in Cariano at 200 meters above sea-level and with a south-west exposure. 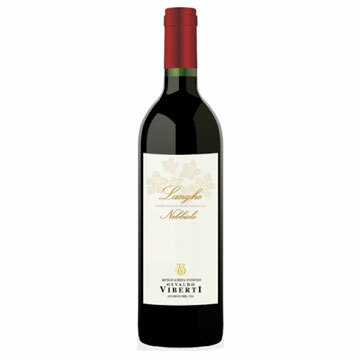 This wine takes its name from the founder of the winery Angelo Manara, who was called Vecio Belo. Pressing and Fermentation: A gentle crushing, followed by a steeping on the skins and a slow fermentation in stainless steel tanks. Aging: In 100 hl stainless steel tanks for 18 months. Aging in the bottle takes on average 6 months. Corvina 70% – Rondinella 20% – Dindarella and other autochthonous types 10%. First and second courses, moreover roasts and meats grilled over an open fire.